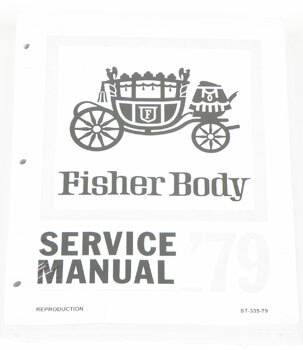 All Fisher body manuals have the complete information on the essential removal, installation and adjustment procedures for servicing your classic. Information includes interior trim cleaning, headlining, stationary glass, door panels, rear seat shelf, convertible top, electrical and more. This manual covers the most essential information pertaining to the body. Unlike the shop manual, you'll find unique information, illustrations, and other information found nowhere else. We recommend this m anual for any owner who intends to keep and maintain their classic vehicle. Note: This book covers the body aspect of the vehicle. For mechanical operations, see the Service/Shop Manual.